We ate it so fast so I forgot to take a picture till the very end of the meal. 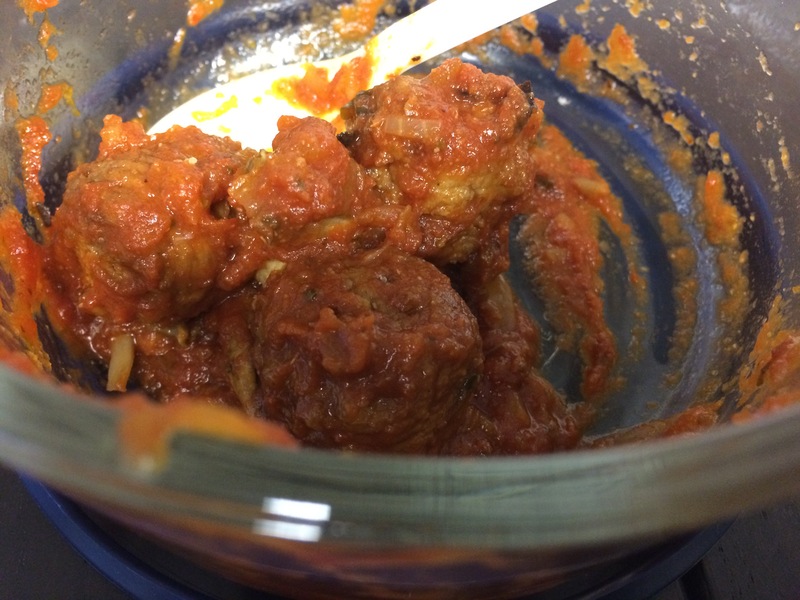 Mix the meatballs, marinara, and chopped onion in a crockpot. Put on low for 4-6 hours. Add the sliced mushrooms to the crockpot an hour before finishing. Fill rolls with saucy meatballs and enjoy! It heats up well for a leftover meal too.